Manufacturer of a wide range of products which include cooling tower motor. Cooling Tower Motor offeredcomes designed and developed using latest technology support and provides for longer service life as well as consistent performance. Further, these motors provide for low operation noise as well as come in compact construction finish so as to take less floor space. 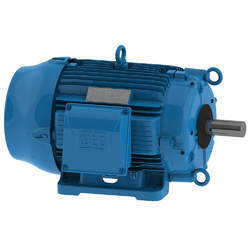 Some of its features include high-efficiency performance, small mounting support, three phase induction motor finish, coming totally enclosed, feature fan-cooling design, motors meet the defined standards, offering high efficiency working support, energy saving performance, high starting torque, small vibration, easy & convenient to maintain.